One of the joys of growing food on your own is experimenting with what is available and fresh when you have it and creating new recipes. Last month my friend and bio-intensive gardener Holly Brown from Island Creek Farm and I visited the New London Canery in Bedford, Virgina. Our plan was to can some chicken broth we had made after harvesting chickens together in September. 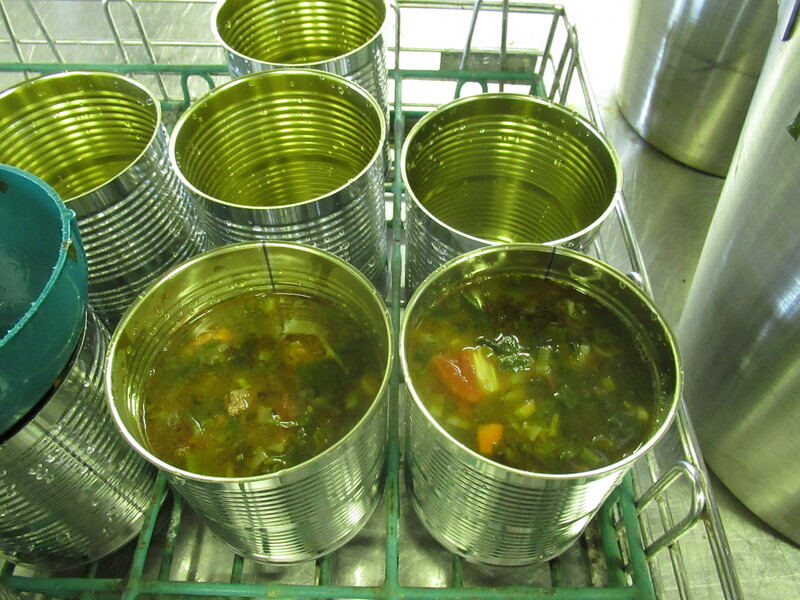 A few days before the cannery trip we talked on the phone and decided to make a soup to preserve as well. We went into our October gardens and looked around. Holly had lots of fresh swiss chard, green onions and herbs. I had yet to clean out my high tunnel from summer crops and was still producing tomatoes and peppers. We decided to add some venison sausage from a friend’s deer harvest and with chicken bone broth our soup was made! Holly sauteed the greens, onions and some carrots at home and I browned the venison. When we arrived at the cannery we diced the tomatoes and peppers and chopped the herbs then mixed them all in the big soup pot with lots of chicken broth. 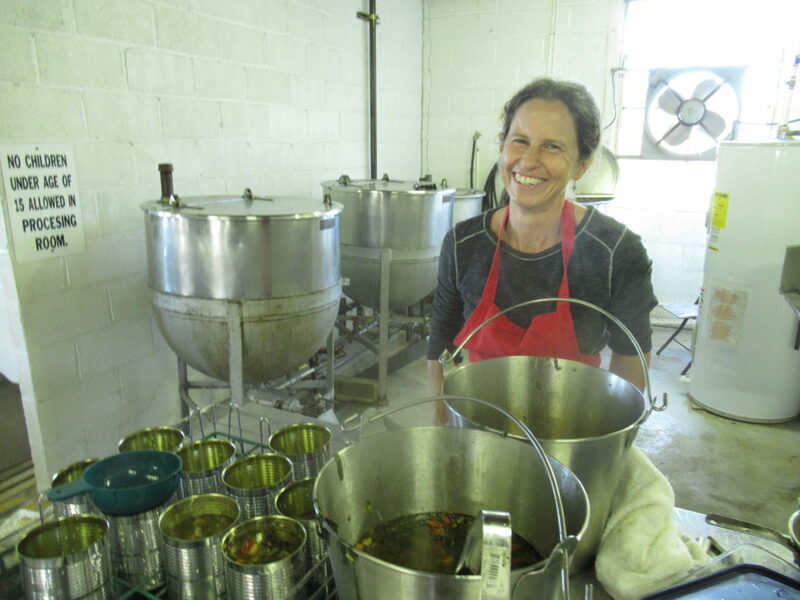 The two ladies that operate the New London Cannery had a ball watching us make the soup-they had never had soup with greens in it! They were skeptical until we all ladled a mug full to taste. It was amazing. One of the ladies asked for the recipe and Holly and I had to laugh- there was no recipe! No recipe was written down for that one! Crumble and cook sausage until browned. Saute greens, onions until lightly cooked. Add these ingredients and everything else to a large soup pot. Bring to a boil and then simmer for 30 minutes. Add salt to taste and enjoy!